Can these microscopic worms help Celiacs consume gluten? Did you see the little brief in the Science and Technology part of the News and Observer yesterday? You can see it here, but the gist is scientists discovered that Celiacs injected with hookworms show fewer symptoms of Celiac and gluten complications. You can find a larger article on Science Daily here. Who Doesn’t Like Quick Snack Mixes? You gotta love quick snacks and lunchbox fillers. Well, we sure do! We found another good one on a recent trip to Target. Annie’s has been a gluten free staple for years with their mac and cheese, cookies, and other things. Now, we found snack kits. 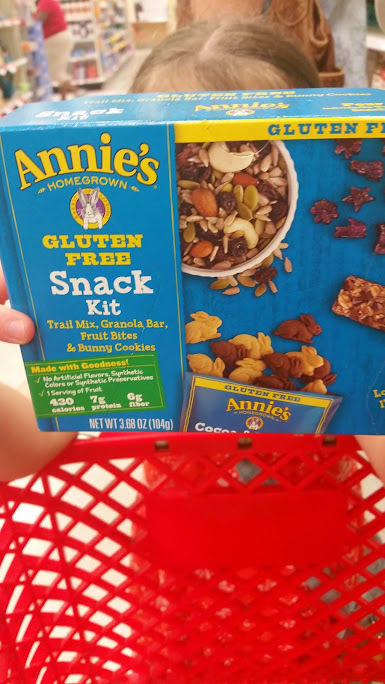 Inside each kit, you’ll find a gf trail mix, granola bar, fruit bites, and bunny cookies. Probably not something you’ll pick up for lunch everyday, but I can definitely see buying these for school field trips, beach trips, vacations, car rides, and overnights at grandparents and sleepovers. Another good option for variety. We love their cookies and fruit snacks. You can’t go wrong with a granola bar. And trail mix. All yum! Up until now, you could find gluten free oatmeal, but just mostly in specialty stores. Oatmeal, when treated properly, can be gluten free. Now, however, you can find mainstream gf oatmeal by General Mills. 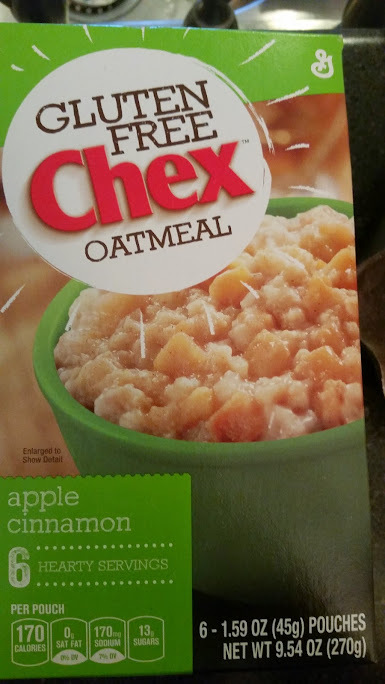 Packaged under the Chex brand, we found gluten free oatmeal at a variety of stores including Wal*Mart, Target, and Kroger. Comes in individual envelopes like your traditional oatmeal, and in a variety of flavors. We picked up apples and cinnamon. The first thing I noticed was there was a lot more in each envelope than the other brands. Makes for a big bowl of oatmeal. It was the first time our girls tried oatmeal, with milk poured on top, and neither really cared for it. Oh well, more for me! Maybe they will grow into that taste. Could be, as well, that we ate it in the middle on the summer. Maybe on those cold January mornings they will appreciate it more! A little bit of everywhere, to answer the question! Definitely a busy summer in our family. We hope to get back to some regular postings, although we are seeing so many great resources out there to help as well. From other blogs, websites, and apps, the whole gluten-free/Celiac experience is much different when we started this blog several years ago. In that thought, our blog could change as well, and we would love to know what you would like to see this space used for. 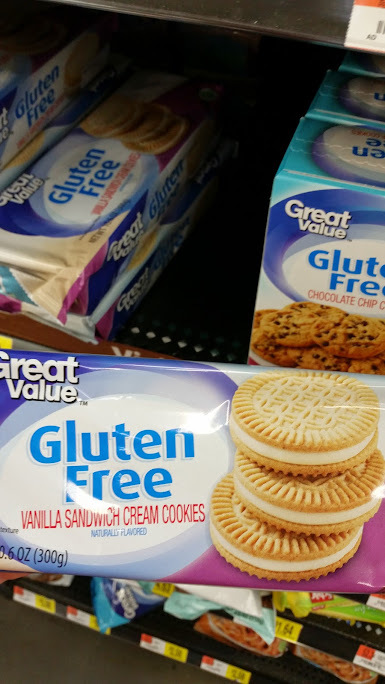 Still posting new gluten free items we find? Questions for the group? Please comment to share your thoughts! To round out our little mini-series on all the new products from Wal*Mart, we also found chocolate and vanilla sandwich cookies (Oreos). Another great find. You can see they come in a pretty large package for a decent price. So often gf cookies come in a smaller package at a much higher price. I love to see this, as so many times you need quick cookies for school, a project (Dirt–an awesome dessert! ), or just for a snack. Whole Foods, Earth Fare, and other stores can be a hassle to get to at times, but you can always find a Wal*Mart. 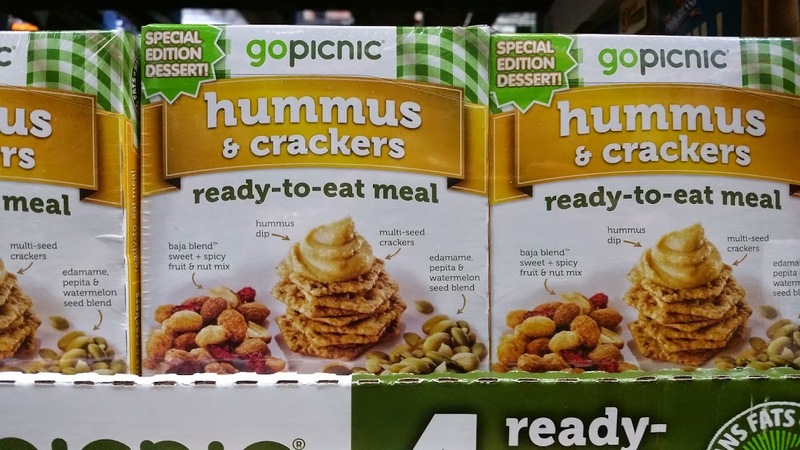 So excited to see them expand their options, and looking forward to seeing more gluten free items in the future! Continuing the series of new Wal*Mart gluten free products, we come to granola bars. Bars like these have been around as long as this family has been gluten free. Lots of variety here, but nice, again, to see a cheap product come in. Five bars in a pack for $2.50, not too bad! A few different flavors as well. Fruit mix, trail mix, and our favorite, chocolate chip! Wow! 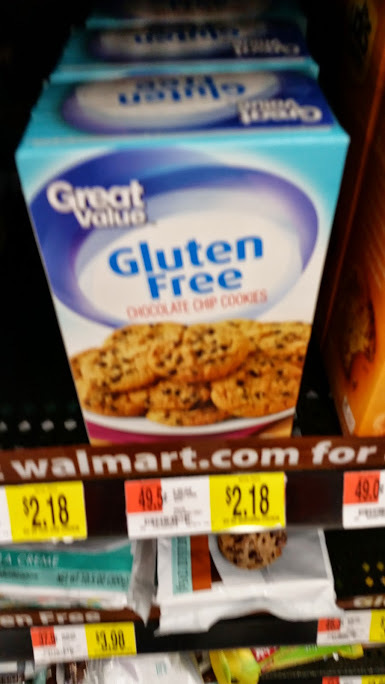 Wal*Mart really wants a piece of the gluten free buying cake. We noticed some new products recently, then on a trip to the Wal*Mart behind Triangle Town Center this weekend, we found a BUNCH of new products. 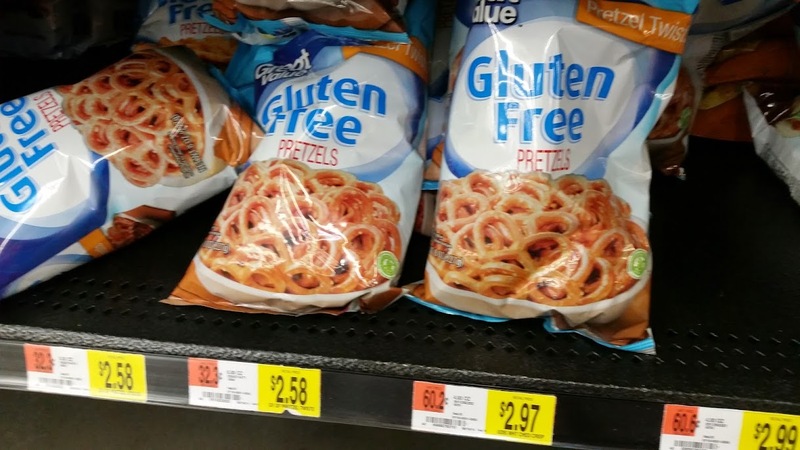 One, gluten free pretzels, you can see in the image. You can also see the price. Definitely a big difference between these and the Glutino Pretzels, which we love. These pretzels come under the Great Value brand of Wal*Mart. We picked up a bag, and they pretty much taste the same as the Glutino. We really like GF pretzels, with a good taste and decent crunch. We love seeing some cheaper competition, and we will share a bunch more new Wal*Mart products soon. Definitely take a look at the GF section next time you see a Wal*Mart.